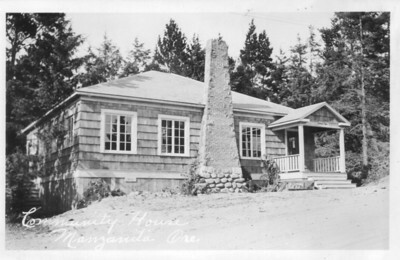 A public library began serving the Nehalem Bay area in 1930. 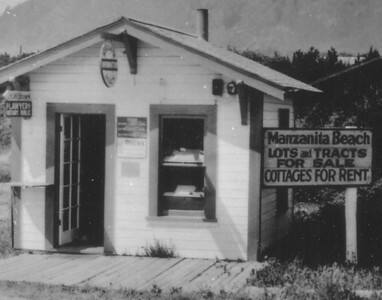 The Manzanita library began in 1930 with two shelves of books in the real estate office of Ben Lane near the west end of Laneda Avenue. The building stood on the site of today's visitor center. Big breaks came when one local couple sold a lot on Laneda Avenue below market value and another couple donated adjacent land. The combined two parcels created the 90 x 100-foot site of the current library. Reading programs for children have operated since the first year of the library in 1930. 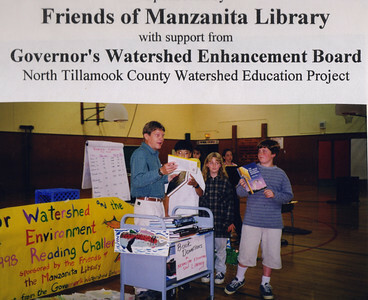 Library leaders began taking programs to schools in the mid 1990s. The library moved into the Pine Grove Community House when the building opened in 1933. For fifty years, the community house provided space for the books -- first in the northwest corner, then, after 1939, in the space now the kitchen. The value of the land plus the amount of cash donated convinced the State Library Board to award the project a grant of $98,000. 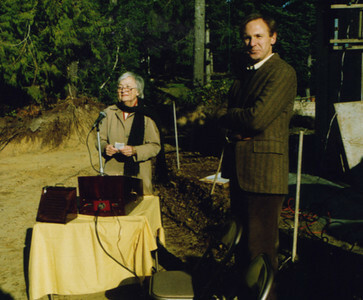 Ground breaking for the new library took place in November 1986. 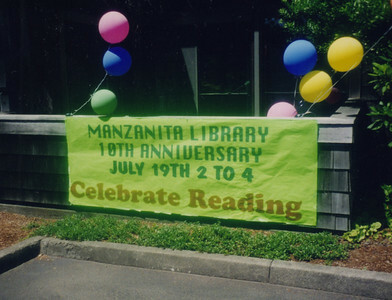 The library celebrated its tenth anniversary in 1997. 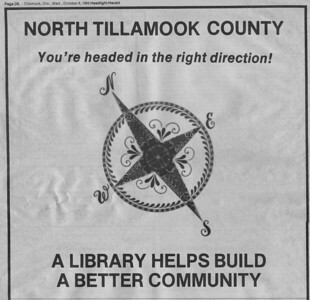 In 1947, civic clubs throughout Tillamook County urged creation of a county library system. Volunteers in north county held fund raisers, sought donations and got out the vote to help create the new system. 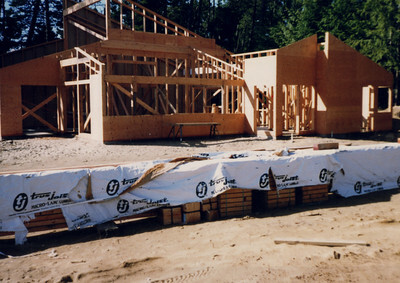 By February 1987 the new building was taking shape. Almost 200 people attended the grand openning that July. 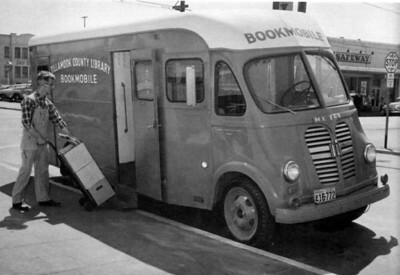 Tillamook County commissioners established the county library in the late 1940s. The bookmobile proved so popular in north county that Manzanita library supporters voted to join the new county library system. Volunteers landscaped the grounds and planted the cherry tree in 1988. 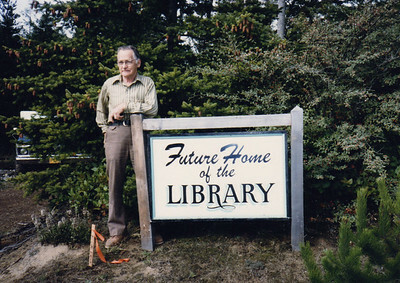 By 1985 local library supporters recognized the need for more space than Pine Grove could provide. They formed a nonprofit organization to raise funds for a new library building. The new organization would own and maintain the building while the county system continued to buy books and provide professional staff. 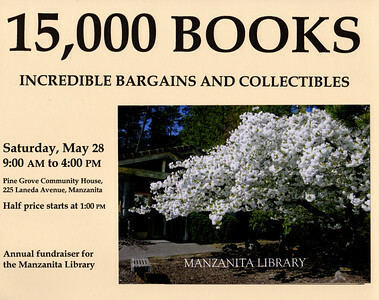 The annual sale of used books began in 1988 and takes place on the last Saturday in May. 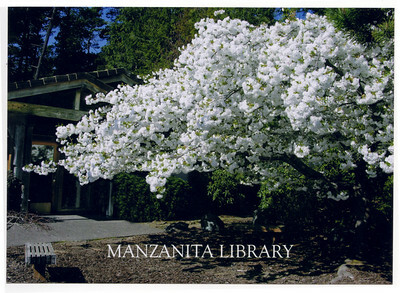 This poster from the 2005 sale featured the cherry tree.